Please Click Here for details of Makeup/Makeover Courses available. 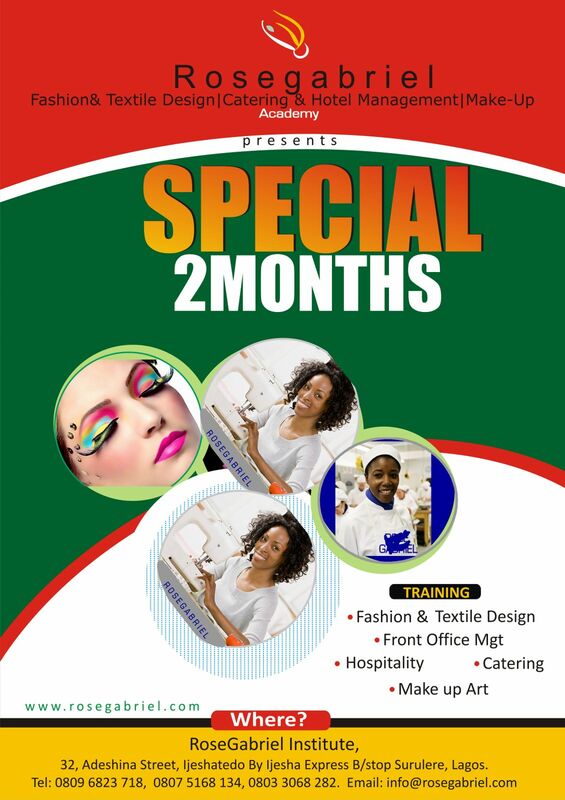 6 months certificate - PracticalCookery, bakery& confectionery only. 3 months certificate – Cake & pastries only or + Africana & continental dishes. Hall decorations = one month. NB: For a comprehensive list of the programs on offer, the durations and fees involved, OR for personalized training in any special areas of interest even for shorter durations, please click here to contact us.